UW-Milwaukee, SOIS Awarded IMLS National Leadership Grant to Develop Digital Library Design Guidelines for Blind and Visually Impaired Users. 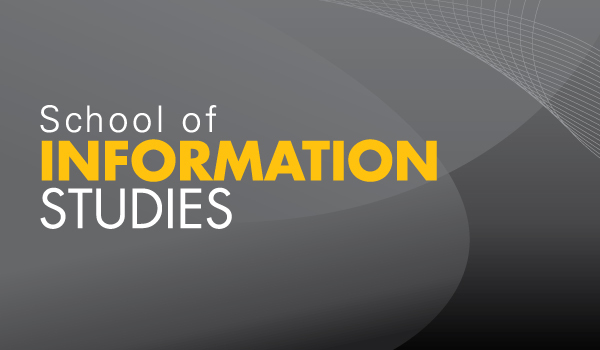 Professor Iris Xie and Assistant Professor Rakesh Babu at UW-Milwaukee’s School of Information Studies, along with their research team, have been awarded a $495,600 National Leadership Grant for Libraries from the Institute of Museum and Library Services (IMLS). The grant period extends from July 1, 2016 to June 30, 2019. The grant will allow Drs. Xie and Babu and their research team to create digital library (DL) design guidelines on accessibility, usability and utility for blind and visually impaired (BVI) users. The guidelines will address the help-seeking situations in BVI users’ interactions with DLs, incorporating perspectives from DL stakeholders and related guidelines. BVI Americans cannot effectively use DLs due to their sight-centered design, and limitations of existing accessibility and usability guidelines do not address many of the help-seeking situations these users face when using DLs. The project will generate three products: 1) DL design guidelines organized by types of help-seeking situations associated with accessibility, usability and utility; 2) report on the current status of how DLs satisfy BVI users’ help needs and support DL interactions; and 3) methodology that can be applied to other underserved users to develop similar guidelines for DLs and different types of information systems. The partners of this project include American Library Association-Office for Information Technology Policy, The Digital Public Library of America, Milwaukee Public Library and WI Talking Book & Braille Library, Milwaukee Public Museum, Milwaukee Art Museum, UWM Libraries, Recollection Wisconsin, American Council of the Blind, Association for the Blind and Visually Impaired, Blind Service Association, Learning Ally, National Federation of the Blind-WI Chapter, and Vision Forward Association. In addition to the partners, three consultants and twelve advisory board members, representing DL organizations and vendors, BVI associations, and scholars and experts in the areas of accessibility, usability and utility, will provide consultation and feedback on the project. Doctoral students Melissa Castillo, Hye Jung Han and Tae Hee Lee will also assist the PIs working on the project. For more information about this project, contact Professor Iris Xie at hiris@uwm.edu.